Back in college, I had a problem (one which I no longer have): I was too thin. People, especially my girlfriends, seemed to hate me for it—and they hated me even more for complaining that it was a problem. But it was: I was tired all the time. Anxious. Irritable. Barely strong enough to carry my groceries the 12 blocks home. Regardless of how well my skinny jeans fit, I knew that in order to improve my quality of life, I needed to gain weight. I’ve maintained a healthier weight for several years now, but I’m hardly the first person to struggle with putting on some pounds. 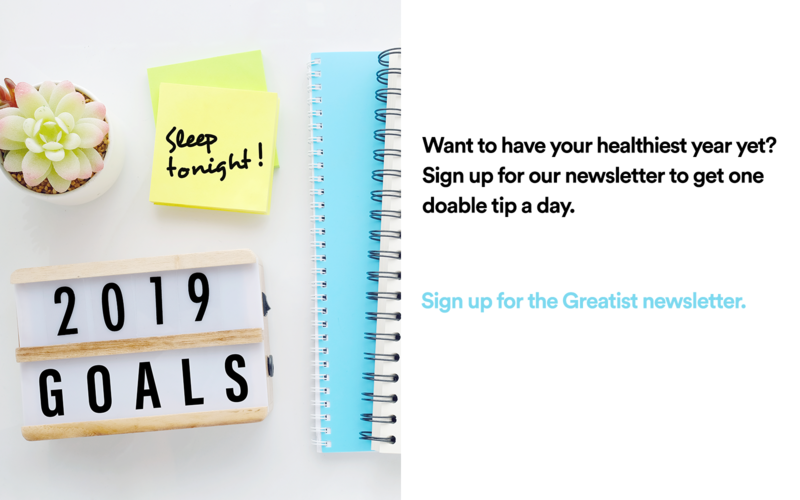 Whether a person wants to gain weight because they’re sick of being tired all the time or just wants to hit a healthier body weight, Greatist has the info and advice on how to make it happen. There are lots of theories about why naturally thin people have the bodies they do, from genetics to stronger satiety cues (some people can feel fuller faster, prompting them to eat less). Lean (Fa/Fa) but not obese (fa/fa) Zucker rats release cholecystokinin at PVN after a gavaged meal. De Fanti BA, Backus RC, Hamilton JS. The American journal of physiology, 1998, Aug.;275(1 Pt 1):0002-9513. Intuitive eating scale: an examination among early adolescents. Dockendorff SA, Petrie TA, Greenleaf CA. Journal of counseling psychology, 2012, Sep.;59(4):0022-0167. Regardless, it’s important to note that if someone is underweight, it’s not proof-positive that they have an eating disorder. According to the Body Mass Index (BMI) scale (which uses a person’s weight and height to estimate their level of body fat), having a BMI of less than 18.5 qualifies as being underweight. Interestingly, of all the BMI calculators we sampled, every one of them included information on how to lose weight. None of them recognized that some people might, in fact, be looking to gain weight. Perhaps this is because underweight people are an increasing minority: Approximately 2.5 percent of adult women and .7 percent of adult men fell into the category of “underweight” between 2011 and 2012. Whatever the reason for thinness, people sometimes invalidate the health concerns of those who need to gain weight. There’s a stereotype that nobody can be naturally underweight, says Greatist Expert and trainer Jen Cassetty, so naturally thin people often face some kind of discrimination. Yet underweight people (particularly men) are just as much at risk for health concerns as overweight and obese people. Underweight, overweight and obesity as risk factors for mortality and hospitalization. Ringb&auml;ck Weitoft G, Eliasson M, Ros&eacute;n M. Scandinavian journal of public health, 2008, Jun.;36(2):1403-4948. Overweight, underweight, and mortality. A prospective study of 48,287 men and women. Seidell JC, Verschuren WM, van Leer EM. Archives of internal medicine, 1996, Jun.;156(9):0003-9926. Being significantly underweight is associated with negative health effects that include lack of energy, nutritional deficiencies, a weakened immune system, osteoporosis, and, in women, loss of menstrual function and complications with pregnancy. Factors associated with screening or treatment initiation among male United States veterans at risk for osteoporosis fracture. Nelson RE, Nebeker JR, Sauer BC. Bone, 2012, Jan.;50(4):1873-2763. Obesity is not protective against fracture in postmenopausal women: GLOW. Compston JE, Watts NB, Chapurlat R. The American journal of medicine, 2011, Dec.;124(11):1555-7162. As with any diet or exercise plan, it’s important to consult a physician or nutritionist before adopting any weight-gain diet. A doctor can also help rule out other health issues that might be contributing to being underweight, such as thyroid problems, parasites, or disordered eating. After chatting with a doc, follow these guidelines to healthfully pack on some pounds. Try adding an extra 200+ calories a day in the beginning, Cassetty says, and adjust up or down depending on results. 3. Focus on quality, not quantity. Even when you’re trying to gain weight, burgers, chips, and milkshakes all day (’err day) isn’t great for a body. Instead, choose nutrient-dense foods from all food groups, Cassetty says. Good options include whole grains like whole-wheat pasta, fruits and vegetables, nuts, and lean protein. And never skip meals! It’s easy to feel full fast when you start introducing more calories into each meal. Changes in food intake might also bring on gastrointestinal issues or even acne (be sure to note any potential side effects in your diary so you can make adjustments if needed). Make things easier on your belly by spreading calorie intake out over five to six smaller meals throughout the day. Snacks can also help keep you from getting uncomfortably full at mealtime. Choose calorie-dense options like nuts, cheese, dried fruits, yogurt with granola, avocados, and whole grain crackers with nut butters or hummus. If leaving the house for a while, pack snacks for calories on the go. Consider this your permission slip for the midnight munchies. A lot of healing and regeneration happens while we sleep, so eating before bed can give your body the nutrients it needs to do the work. Nom down on a PB&J or a wrap with avocado, vegetables, and lean meat or cheese. Instead of diet soda and other low-cal drinks, choose filling, high-calorie beverages like smoothies, healthy shakes, or liquid meal replacements. Drink fluids in between meals to add calories and to avoid filling up on beverages during meals (which might make people eat less solid food). 8. Adjust your exercise routine. Focus more on strength training as opposed to activities that are going to spike your heart rate, Tamir says. Moderate-intensity cardio workouts are good, but nix anything that's too strenuous since you'll end up burning more calories, he adds. And remember to consume protein (good sources include poultry, eggs, tofu, beans, lentils, or nut butters) within 45 minutes after your workout to speed recovery. And remember to be patient. Just like weight loss, weight gain is a process—and often a slow one, Cassetty says. Gaining might take years, so don’t give up hope if you don’t pack on immediate pounds. 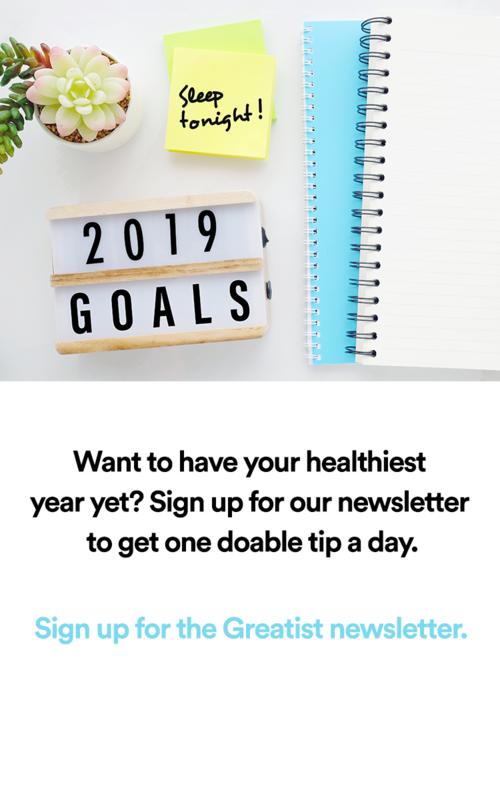 The rate at which a person needs to gain weight depends on their health goals and current health status, and a physician or nutritionist can help establish a reasonable goal weight. Signs of reaching an ideal weight include increased energy, stabilized hunger patterns, and overall good health. It’s important to have a strong support system throughout the process of gaining weight, Cassetty says, both to help gainers achieve their goals and to cope with the emotional issues that might arise from bodily changes. One of the best ways to adjust to changing size is to spend time noticing and appreciating how your “new” body appears in the mirror, says Greatist Expert and psychologist Ellen Langer. Don’t put off feeling good about your appearance. Talk nicely to yourself and choose outfits that make you feel good, no matter what you weigh. Originally published June 2015. Updated October 2017.